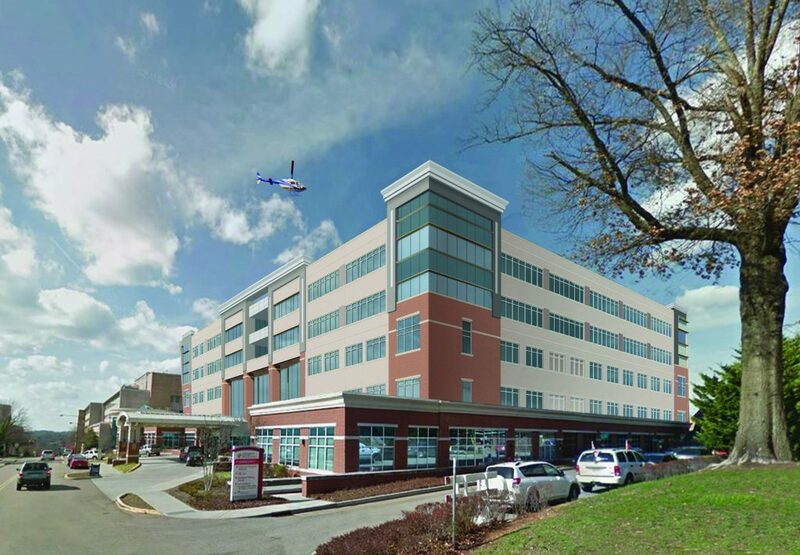 Fort Sanders Regional Medical Center is currently undergoing a $115 million building project that will expand emergency and critical care capacity. This necessary update to the facility will allow us to better meet the growing community need for healthcare services. Follow along the construction process and continue to refer to this page for the latest construction updates that could possibly impact your trip to Fort Sanders Regional. The new ED will include a radiology suite, a holding area for behavioral patients, and an updated waiting area that will accommodate more than 50 patients and visitors. A new critical care department will occupy two floors that will be built atop the Center for Advanced Medicine, nearly doubling current critical care capacity from 45 beds to approximately 72 beds. The new critical care patient rooms will be nearly twice the size of current critical care rooms and will have more space for family members to be with their loved ones. Plans include enlarging the Laurel Ave. parking garage adjacent to the ED by 250 spaces. The project is expected to be completed sometime between late 2019 and 2020.